it counts only as one portion of food! Now you can make the food last longer. 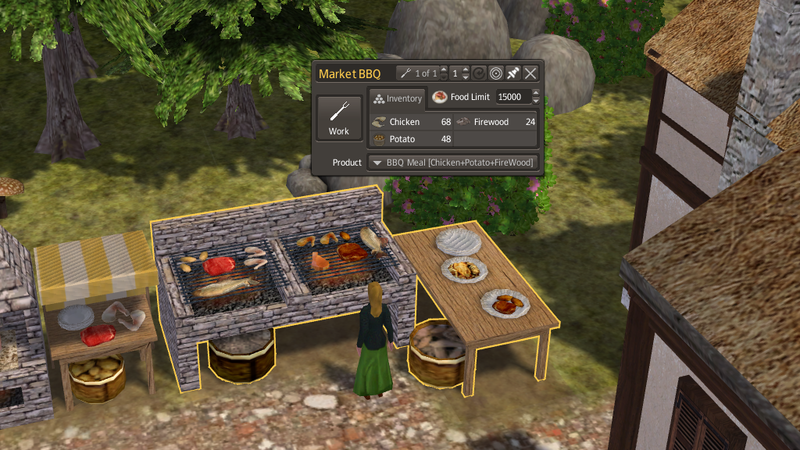 Market BBQ! Add potato to your meat and grill on the fire. you will now have 12 portions (11 for uneducated workers). The grill needs firewood to work. For meat you can have chicken - beef - mutton - venison. Add ordinary potato or sweet-potato. - Changed height. The grill was almost up to the chest.